February has gone as quickly as it came, but it didn’t go without leaving its mark on the nightlife scene. This month brought us performances in Atlanta, over-the-top birthday celebrations in Miami Beach, and a star-studded NBA All-Star weekend in Los Angeles. Missed out? Check out our February Party Recap. 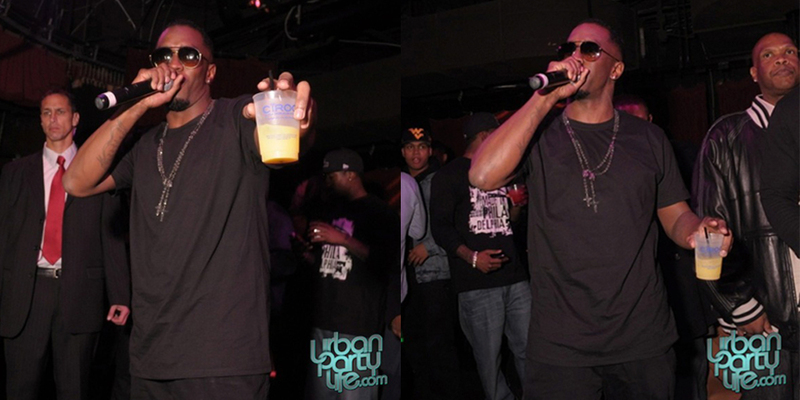 Atlanta’s Opera Nightclub played host to Busta Rhymes and Wale on Thursday, February 10. Busta performed for the crowd alongside DJ Drama and DJ Infamous. Click here to check UrbanPartyLife.com’s video of Busta’s performance. Birdman, NFL champion Atari Biby, and model Amazin Amie took over Headliner Fridays at Miami Beach’s Play on February 11. The night was also in honor of Phil the Mayor’s birthday. Headliner Market Group and the RT Group produced the party which also featured Biz Markie as the special guest DJ. UrbanPartyLife.com was there to catch it all go down on tape; click here to check out the video. Los Angeles’ NBA All-Star Weekend brought out some of the industries biggest A-listers, meaning a party hosted by Diddy was inevitable. The king of nightcaps managed to make The Highlands Nightclub in Hollywood his own movie on Friday, February 19. Click here to check out UrbanPartyLife.com’s exclusive gallery of the party. NBA All-Star Weekend’s Finale Party took place at Siren Studios in Hollywood on Saturday, February 20. Drake and video vixen Rosa Acosta hosted the night that featured a surprise appearance by Stevie Wonder. The evening was produced by IMP Entertainment, Steve Marlton Productions, AG Entertainment, and Jacob York. Click here to check out video from the finale soiree. The February 23rd edition of Halo‘s Signature Wednesdays brought out America’s Next Top Model winner, Eva Pigford, and Kenny Burns. The Atlanta nightclub hosts a weekly ladies night presented by Benny Entertainment and Dreamteam Entertainment.UrbanPartyLife.com’s gallery of the evening is available here. BET’s 106 & Park‘s hosts Terrence J and Rosci made an appearance at Dream Nightclub in Miami Beach on February 26. Dream’s Eye Candy Saturdays is presented by the Elite Society Group and the LGI Group. Click here to check out pictures from the event. Dwight Freeney and Birdman rang in their birthdays on February 26 at Cameo Nightclub in Miami Beach. The 400 Club’s Saturday night celebration brought in guests Lil Wayne, Mack Maine, Sean Paul, Carmelo Anthony, Amare Stoudemire, and DJ Clue. UrbanPartyLife.com’s exclusive photos can be seen here. « Drake to Host the Grand Opening of the Chateau Nightclub in Las Vegas, March 5.